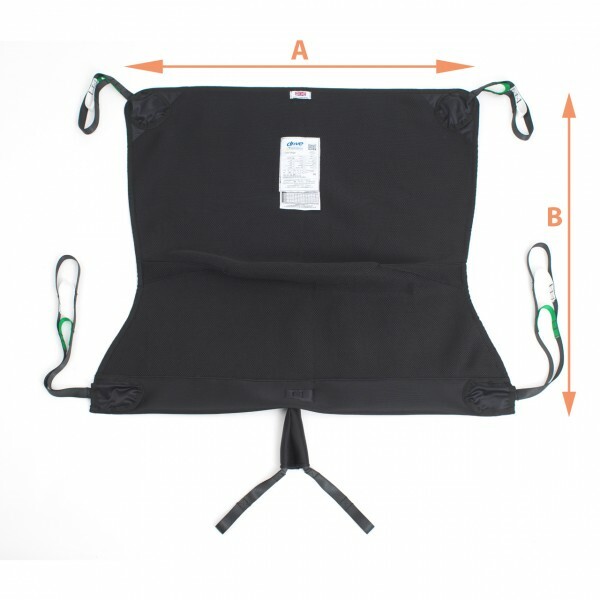 The In Chair Hammock Comfort Sling was designed to give a more comfortable transfer for users who experience discomfort when hoisted. A seamless bottom edge reduces pressure caused by taught binding and is complimented with a thinner padded pommel. Spacer fabric reduces heat build-up, being seamless and also helps with pressure distribution. Suitable for those who are unable to remove slings after transfer. Secured by loop fastening.